As I mentioned in my blog post that kicked off oatmeal week that I like to use oatmeal to replace bread crumbs called for in most recipes. Oatmeal works great as a binder in meatballs, meatloaf, or burgers. But have you ever thought about grinding up oatmeal and using it to bread chicken? 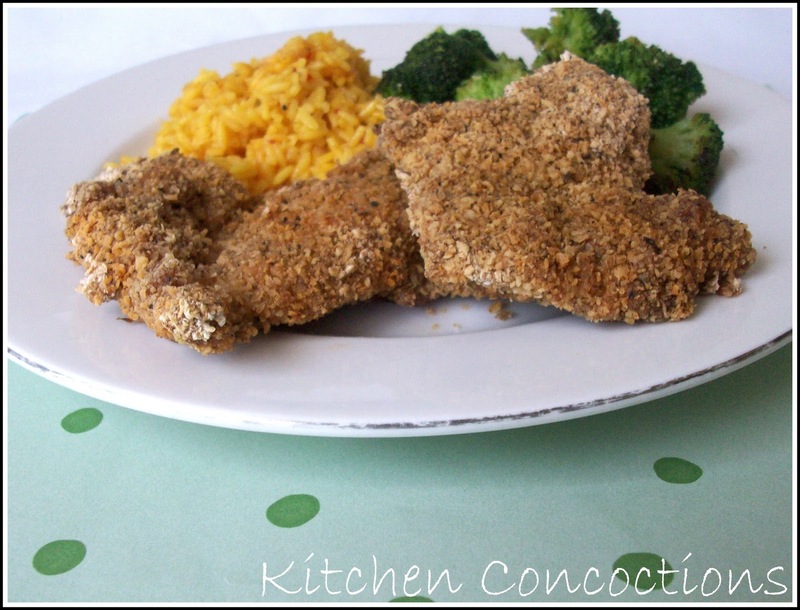 Since the oatmeal has a bland flavor on it’s own it seasons well and provides a nice crunchy texture to to the chicken. What a pleasant and healthy change to our weekly chicken dish! Preheat oven to 350 degrees. Line a baking sheet with aluminum foil and spray with cooking spray. Place oatmeal and spices in food processor or blender and pulse until the oatmeal becomes a fine mixture. Place prepared oatmeal in a bowl. In another bowl crack eggs and whisk with a fork. Dip chicken thighs first in the eggs and then in the pureed oatmeal mixture. 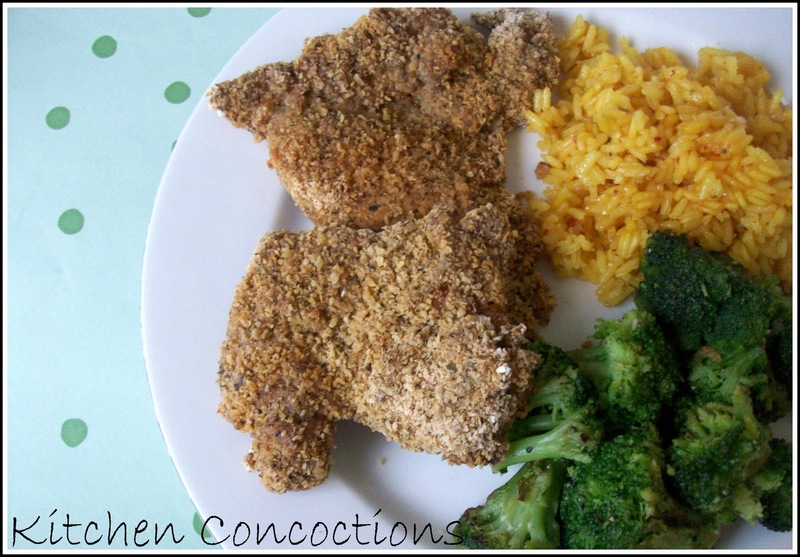 Place breaded chicken on prepared baking sheet. Spray chicken with cooking spray an bake at 350 degrees for 30 minutes or until the center of the chicken is no longer pink. « How do YOU top your oatmeal?